GARY CORDINGLEY - What's happening? Sea Monsters exist throughout the world wherever people have a connection with the sea and Falmouth is no exception. The stretch of coast between Rosemullion Head and Toll Point is sometimes referred to as the 'Morgawr Mile', but what is this Morgawr, this creature that lies just beyond the shallows, just below the surface, just out of sight - just out of mind? 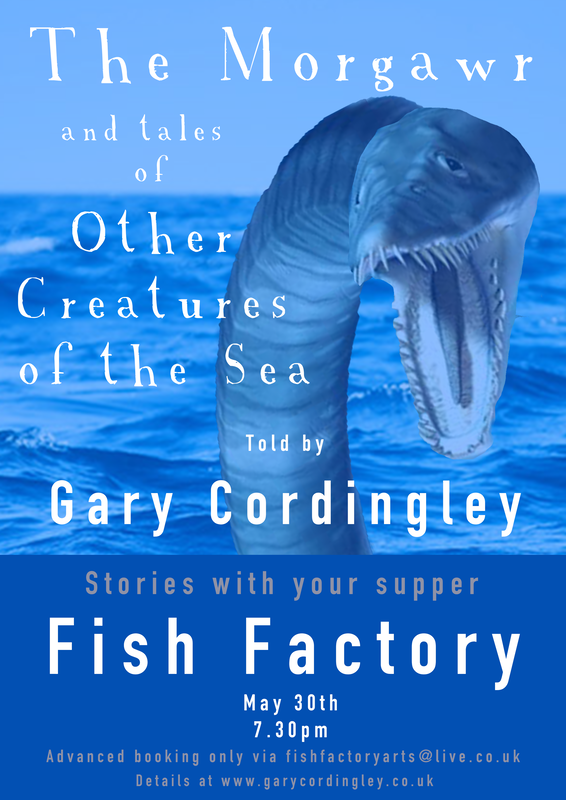 Join me at the Fish Factory and I will tell you stories of this mythical beast and other creatures of the sea over an delicious evening meal cooked by Rose Hatcher of the Fish Factory. ​In the meantime, if you are interested, please contact the Fish Factory fishfactoryarts@live.co.uk (for your ticket) or drop me a line in the for m below.